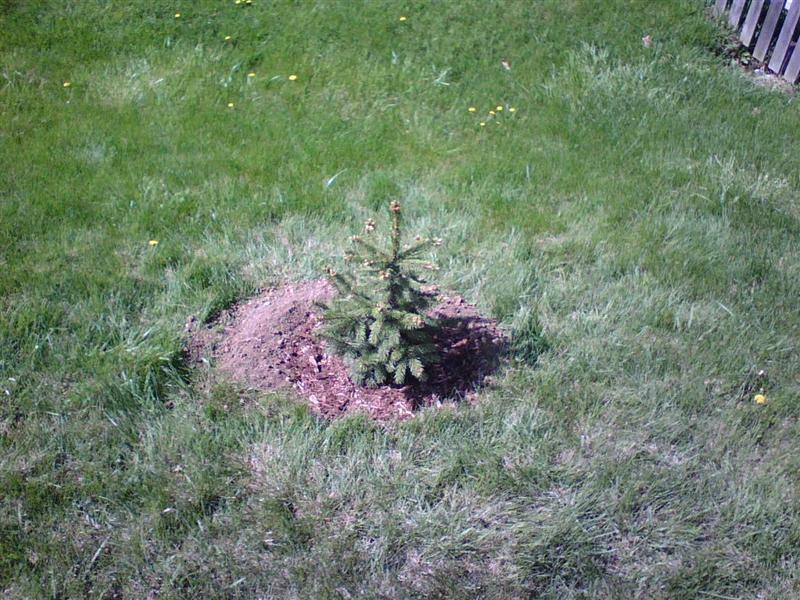 Heather and I didn’t time our tree planting around Earth Day, but that’s ok because we do care about the earth. 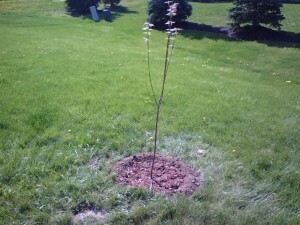 This weekend we planted 3 new trees in our yard. This is significant because our yard doesn’t have a single tree in it. Reminds me of the house/yard I grew up in which also had no trees. In the front yard between the sidewalk and street we planted a RedPink Flowering Dogwood. 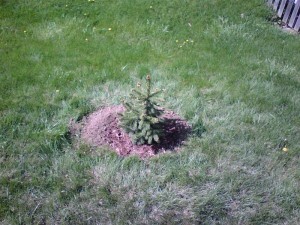 In the back yard, we planted a RedSilver Maple and a Colorado PineBlue Spruce (pictured). So what did you plant for earth day? I had the tree names wrong. We purchased a Pink Dogwood, Silver Maple and a Colorado Blue Spruce. ← New Fence For the Dog Maybe?